15 See, I set before you today life and prosperity, death and destruction. 16 For I command you today to love the Lord your God, to walk in obedience to him, and to keep his commands, decrees and laws; then you will live and increase, and the Lord your God will bless you in the land you are entering to possess. 17 But if your heart turns away and you are not obedient, and if you are drawn away to bow down to other gods and worship them, 18 I declare to you this day that you will certainly be destroyed. You will not live long in the land you are crossing the Jordan to enter and possess. 19 This day I call the heavens and the earth as witnesses against you that I have set before you life and death, blessings and curses. Now choose life, so that you and your children may live 20 and that you may love the Lord your God, listen to his voice, and hold fast to him. For the Lord is your life, and he will give you many years in the land he swore to give to your fathers, Abraham, Isaac and Jacob. Exceedingly great and precious promises made to them, upon their repentance and return to God (v. 1-10). The righteousness of faith set before them in the plainness and easiness of the commandment that was now given them (v. 11-14). 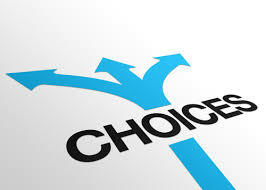 A fair reference of the whole matter was to be their choice (v. 15-20). Moses made it clear that the people had a choice. They were responsible for what they chose. Either they could choose to live or they could choose death. If they chose to live, they would have good things in their lives. If they chose death, they would suffer the bad things of death. Moses explained what these choices meant. To choose to live they must love the LORD their God. They must obey his commands, rules and laws. Then the LORD would give all the blessings of the covenant to them. They may refuse to obey the LORD. They may turn from the LORD to other gods. Then the LORD would bring all the curses of the covenant on them. In the end, he would send them out of the country that he was giving to them. Moses urged the people to choose the right thing. He called on heaven and earth to be witnesses. God had created them and they would be there for each generation. It was a serious decision that the people had. The choice was between blessings and curses. Moses told them that they must choose to live. That choice would consist of love for the LORD. They would obey all his commands. And they would be loyal to him. Then they and their descendants would live. They would continue to live in the country that God promised to their ancestors. Why do people believe in other gods? Do you think that people see sin as a curse today? why or why not? How does sin impact our ability to be a witness for God? Luke’s purpose was to write a good and true account of the life of Jesus. This Gospel tells the story of Jesus from the time before he was born. And it ends when Jesus went back to heaven. Luke wanted Theophilus (who Luke was writing to) and all people to know the truth about Jesus. The Gospel of Luke tells us about the things that Jesus said the things that He did. This helps us to understand how God saves people from sin. Luke shows us that Jesus is the Saviour of the world and how our sin ruins people’s lives. Luke’s Gospel tells us that after we die, punishment is certain and that we cannot save ourselves. It is Jesus who came to look for and to save us. Luke shows that Jesus was a real man the Son of God. So what is unique about John? He wrote 5 books of the New Testament: The Gospel of John; 1st John; 2nd John; and 3rd John, all short letters; and the Book of Revelations. John wrote last, frequently answering those nagging questions that early Christians had about Jesus. John lived a long life, dying of natural causes – the remaining Apostles were all martyred. The Bible often refers to John as the Disciple Jesus Loved. He was the brother of James (both nicknamed “Sons of Thunder”). While on the Cross, Jesus assigned John the task of taking care of Mary, His mother. The apostle John now told Jesus about a man who freed people from the power of demons. This man forced the demons out in the name of Jesus. But the man was not with the disciples who followed Jesus. John and some other disciples saw this man, and they told him to stop. To do this work, the man should be one of their group. Jesus told John that they were wrong to stop the man. Someone who does a miracle in the name of Jesus will not soon say anything bad about Jesus (Mark 9:39). This man was not against Jesus and his disciples. People are either on the side of Christ, or they are against him. Do we still have jealousy in the Church today? Where, if any? Why would John be so concerned with someone (not authorized?) doing miracles? What would have happened if John asked Him to join forces and work with the other Apostles? What is the point Jesus is making about the power of a miracle? Jesus says life is a “binary” decision. You are either with Him or against Him – Is it that simple? In what ways do we try to take the middle of the road with Jesus today? Why don’t we hear about more miracles today? So what were the attributes of John’s personality that equipped him to be a disciple? In other words, what do the Bible Verses tell us about John? How do we help those in the church today, take the side of Christ in all things?